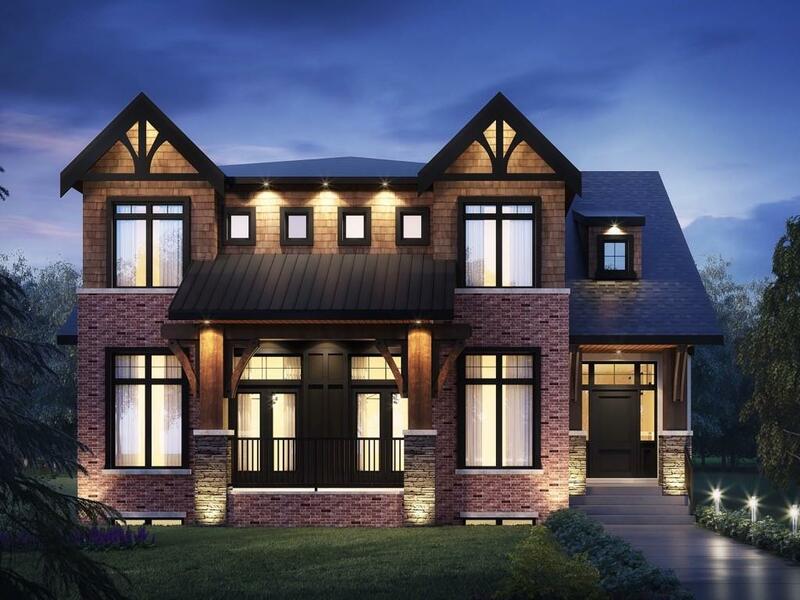 DESCRIPTION Entirely exquisite, nearly finished, brand new home by Bear Oak Developments with 5 bedrooms & 6 bathrooms on a 50'x120' lot, located on a prime street in the established community of Parkdale. This home will leave you breathless the moment you walk through the front door! The main floor presents hardwood floors & elegant light fixtures throughout showcasing a main floor den with custom built-ins, sliding ladder & ceiling detail, formal dining room featuring wainscoting & coffered ceiling, both with access to the front veranda with limestone tile. The open living area boasts a large living room with soaring ceilings, fireplace & 20’ tiled feature wall open to the sumptuous chef’s kitchen finished with butcher block & quartz counter tops, custom Legacy cabinets, ceiling detail with beam & blue abyss detail, Wolf & Sub Zero appliance package, prep kitchen, butler’s pantry & large breakfast nook. A mudroom with built-in open lockers & a 2 piece powder room complete the main level. A dramatic open riser staircase beckons you to the second level with hardwood floors throughout, 3 bedrooms (each with a private ensuite) & laundry room with sink, hanging rack, sink & built-ins. The spacious master retreat boasts a linear double sided fireplace, enormous walk-in closet with floor to ceiling built-ins & full height mirror. The luxurious ensuite features dual vanities, large steam shower with multiple shower heads & tranquil soaker tub. A fully developed basement includes a media room roughed in for projection & 7.2 system, recreation room with wet bar, gym with steam room, wine room 2 additional bedrooms with a Jack & Jill bath. Further features include a 10 zone indoor/outdoor speaker system, rough-in for in-floor heat & A/C unit, custom landscaping package with full fencing, triple detached garage, large back deck. This flawless home is located blocks from Bow River pathways & close to Foothills Hospital, U of C, Edworthy Park, schools, shopping & public transit. Being our first condo selling experience we were nervous about the vast number of realtors out there and how to choose one. Once we found Tanya’s great reviews and previous work we decided to meet with her. From the beginning of the process to the end she and her team were nothing but professional & timely individuals. Tanya made this process easy to understand from the start, helping us through the sometimes-confusing paperwork process which is selling a house. In the end we sold faster time than we expected and we’re able to start our next journey finding a house with the Tanya Eklund Group. In the end we would highly suggest you get involved with Tanya and the Tanya Eklund Group for your home buying and selling needs. It’s our absolute pleasure to recommend Tanya Eklund. Along with her undeniable talent, Tanya was an absolute joy to work with. We came to know her as honest, dependable, and incredibly hard-working. Beyond that, she is an impressive communicator, who was always available. Without a doubt, we confidently recommend Tanya and her talented group. It has been a month since we moved to our new place. Let me start by saying I could not imagine working with a better realtor than Tanya. She is a working horse. Literally. I mean, she was on her 5th month of pregnancy, on heels and always on her phone when we met her. She helped us find the perfect place for us and boy, it was hard, considering our very strong European aesthetics and needs. Tanya is an outstanding professional that loves her job and you can feel it in every detail. She doesn’t work for commission. She is just crazy about what she does. She doesn’t push, she is patient and willing to help, answering your late night phone calls and fixing your concerns. I would recommend her with an open heart to anyone looking for a home, not just a place to live.